Wow. Week 40. Only 12 to go. If you have any top ideas for my last 12 weeks please comment below – I’m sure there are tonnes of crafts I haven’t tried yet. I’m not in my usual surroundings at the moment and don’t have any of my craft supplies to hand so I had to start from scratch for this week’s project. I was very happy to find a Paper Source store yesterday so I could stock up on some bits and pieces and as it’s tipping down with rain today it is a perfect excuse to stay in and make pretty things. 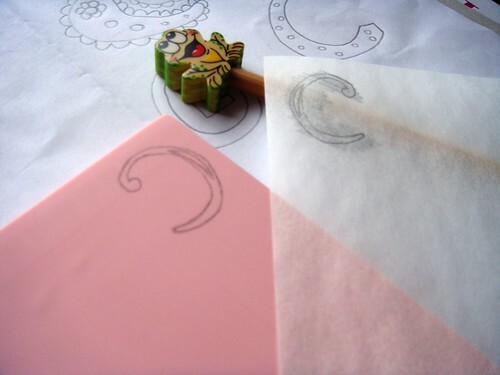 Alongside lots of crafty goodness I picked up a Speedball stamp making kit – it included rubber, two blades, tracing paper and instructions. 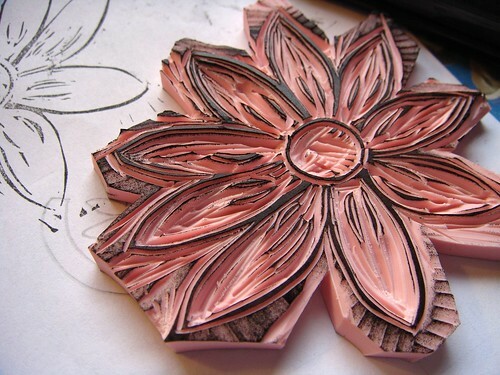 All I needed to supplement it was some ink, a craft knife, a pencil and some cards to print on. I started off with a simple monogram. I drew it on paper (after several attempts to find a design I liked), traced it and then transferred it to the rubber by scribbling on the back of the tracing paper with pencil (remember when doing this that your letters need to be backwards so they’re the right way when you print them). Then it was time to get cutting. I first cut a square around the letter with the craft knife to make it easier to handle. Then used the smaller blade to cut the outline and details. I swapped to the big blade to cut away the larger pieces – it’s easier to cut away from your design and safer too as you’re less likely to damage your creation. And remember to keep your fingers out of the way of the blade. 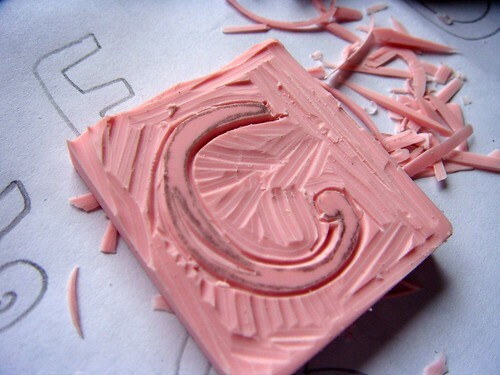 You don’t need to gouge big lumps out, just enough to make the design raised higher than the rest of the rubber. When you think you’re done, ink it up and do a test print. 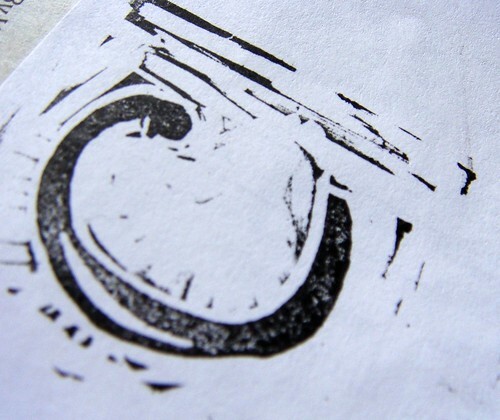 Cut away any areas you’ve missed – and print again to check. I personally quite like the slightly rough look so I didn’t go too mad getting every single bit. Photo of the final print coming up in a few photos time (this is an image heavy post to say the least). I felt I’d got the hang of this stamp-making lark so I moved on to a more complicated design based on my freehand embroidery from week 2 (sigh, seems like only yesterday). This design took quite a while and some patience to cut out. But I got there in the end. 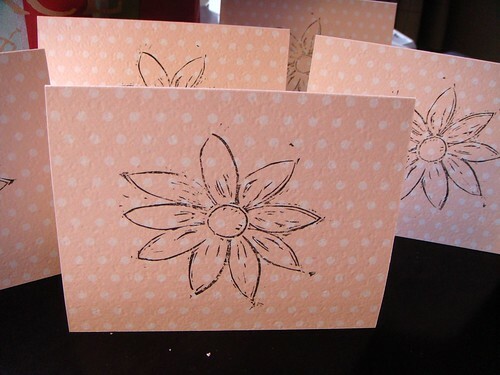 I’m still insisting I like the rough look… I really do actually and I love the resulting cards. 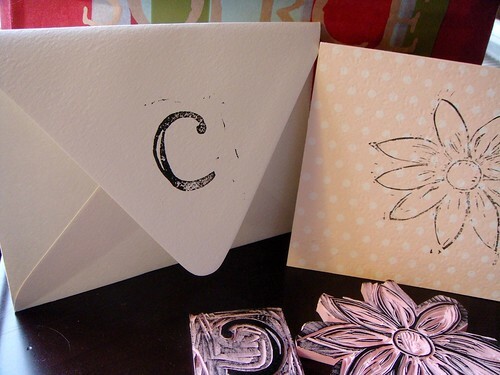 And monogrammed envelope. 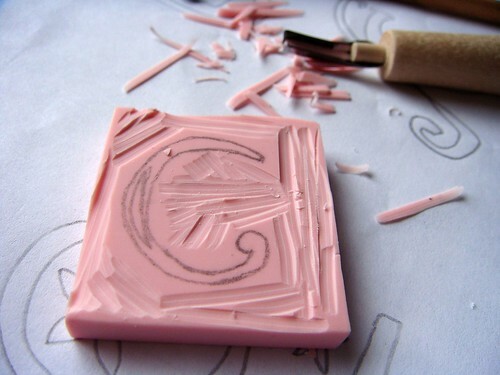 I loved stamp making – it’s almost meditative, all that cutting. And it’s fairly low-cost and easy to do. I’ll be doing it again definitely. I hope you enjoyed this week’s craft. 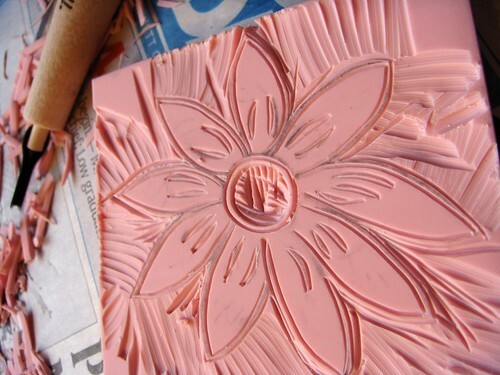 Have you tried stamp making? I’d love to see your fabulous projects. We love this stuff – we sell it in our shop! It’s brilliant stuff – so easy to use! 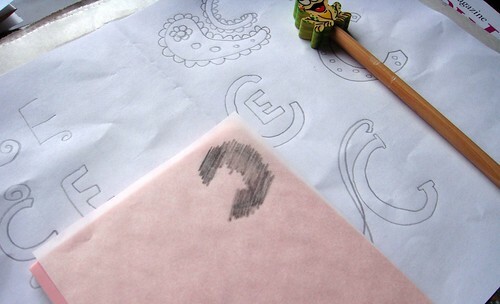 Have you tried tatting? I saw some really cute tatted hearing in Etsy once and have been planing to try it. 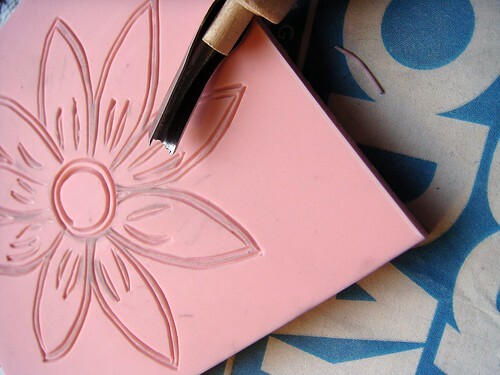 Let’s see… you could try calligraphy, wood carving, carving soap stone, making paper flowers, making bowls or other things from gourds, making rawhide rattles, macrame, basket making, or building bird houses. That’s all I can think of right now. I enjoyed your blog. Good luck with the last 12 weeks. Jennifer – it is so so easy to use. I will be stocking up on more soon.